It is with great pleasure that we announce our 1st Annual Government-Academia-Industry meet to be held at the IIM Bangalore. 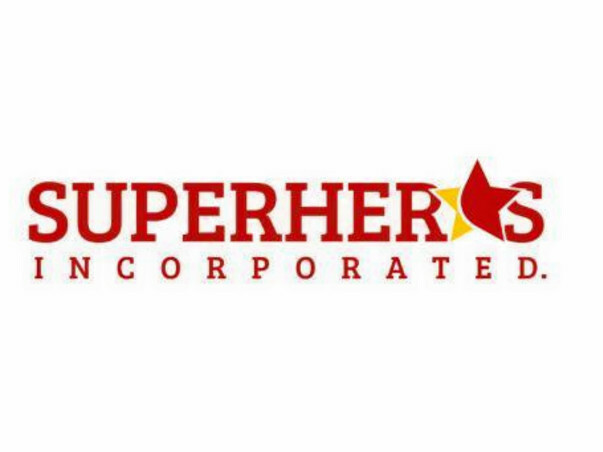 The Conference is organized by Superheros Incorporated, an NSRCEL IIM Bangalore incubated start-up. 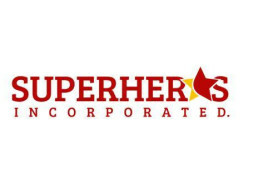 Superheros Incorporated was started with the passion to help youngsters see their full potential and not be limited by the failures of their past or their present circumstances. Therefore, we started training ITI students in career readiness skill and connecting them to the job opportunities in the industry. We act as their "career coach" and counsel them on the job to improve their retention in the industry. Our goal is to enhance the financial well-being of vocational trainees in India. The overall theme of the Conference is “The Promotion and Advantages of the National Apprenticeship Promotion Scheme (NAPS) for the employers as well as for the employees”. 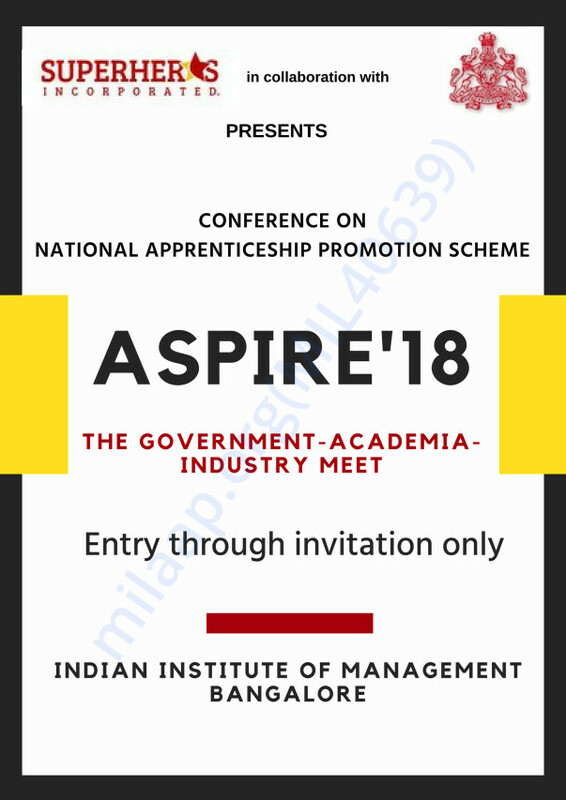 The Conference will be a platform for Medium and Small Enterprises and other participants to discuss the current situation, advantages and advancements relating to the apprenticeship schemes being run by the government. MSMEs will also seek to share experience and best practices on their work to promote apprenticeship. The event will focus on how to change the status of apprenticeship in MSMEs with a focus on obstacles - skill, economic, workforce and structural - that lead to lack of apprenticeship opportunities for ITI. Further, discussions will include practical suggestions on how to eliminate such obstacles and providing the incentives of NAPS to employers. The Conference will be divided into two substantive sessions, providing the Senior Government Officials, the academic officials, and the employers, the opportunity to focus on specific areas from their own perspective and national experiences. The main conclusions of the Conference will be listed and forwarded as recommendations to the concerned officials. Training and empowering the underprivileged youth.